“The opening of dove season is as much a part of our culture as sweet tea and fried food,” Long said. “There is a lot of planning and anticipation, and it’s a social sport. There’s a lot of camaraderie that you don’t get with the different solitary hunting activities. “It’s a great opportunity to spend time with family or get to know people better, but firearm safety is just as important as marksmanship and having fun,” he said. Ashley Ward, MSU alumna and grassroots marketing assistant for Ducks Unlimited, is 23 years old and has participated in dove season with her family since she was a young child. Ward said hunting has given her the opportunity to spend time with her father and experience the beauty of the natural world, whether it’s watching the sun come up or listening to birds waking up in the morning. But hunting has also given her the chance to show the boys a thing or two. “Participating in 4-H shooting sports made me a much better shot,” she said. “My friend and I were the first girls to represent Mississippi at the national competition in shotgun. The September after I got home from nationals, I was the first person every day to leave the dove field with my limit. “Some guys were confused, and some were a little mad that they had just let a girl beat them in the dove field. My dad was thrilled. He was grinning from ear to ear,” she said. Every year, Ward’s family treks from Waynesboro to the Delta for opening weekend. Long said that firearm safety is especially important when hunters of varying ages and experience levels are on the field. Hunting doves requires constant awareness of the target and other hunters. “Make sure you don’t shoot at low birds, because you may not see that someone is in your line of fire,” Long said. Long said all hunters should consult the rules and regulations governing hunter education requirements and licensing. He encouraged young people ages 8 to 18 to join 4-H shooting sports. 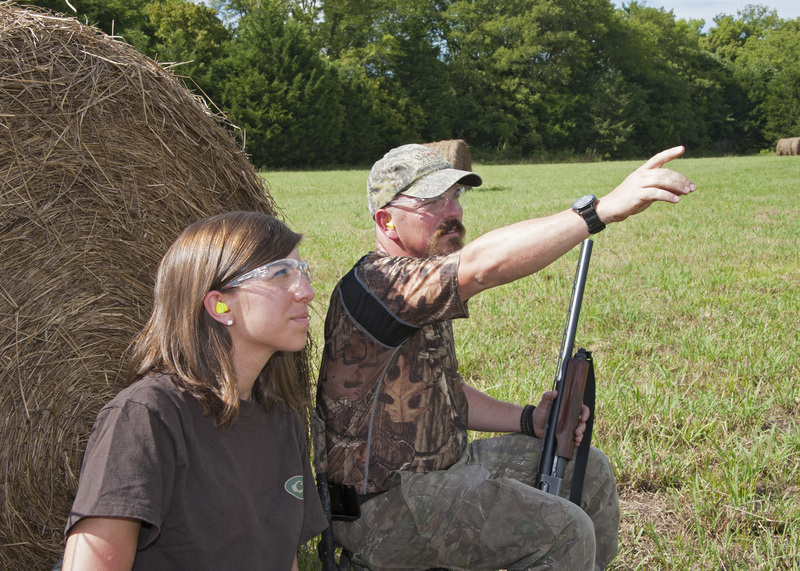 For information about hunting safety and regulations, visit http://www.mdwfp.com. For information about 4-H shooting sports, go to http://extension.msstate.edu/4-h/shooting-sports.